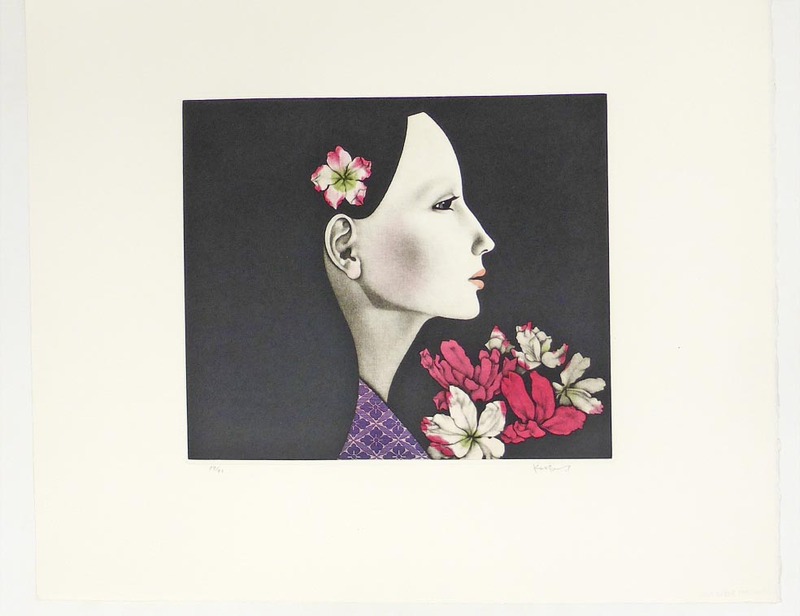 SAITO KAORU,, born 1931, Kaoru Saito was born in Kanagawa prefecture in 1931. He studied art under Tsuruta Goro and Arai during 1948  1950. Member of Shunyo-kai. His detailed works in mezzotint have been shown in many exhibitions all over the world, including 1972  87 Mezzotint Works-Kabutoya, Osaka Forme, Seibu Vorpal Gallery NY, Newmark Gallery NY, Robertson Gallery CA. Group Exhibitions: 1968  87 Mainichi Contemporary Japan Art, Shunyo-kai, Asahi Contemporary Art of Illusion and Womens Series.